japanese, book, books, all, kawaii, cute, retro, seventies, 70s, showa period, shoujo, ado mizumori, message for you, retro girl, illustration, big eyes. PLEASE NOTE BEFORE PURCHASING: THE BOOK IS IN USED CONDITION. THE PAGES INSIDE ARE IN EXCELLENT AND CLEAN CONDITION. THE OUTER BOOK JACKET HAS A LOT OF WEAR SUCH AS DENT MARKS AND SCRATCHES. Here is the "Ado Mizumori - Message For You" book published in 2009. The text is in Japanese and all pages are in color. 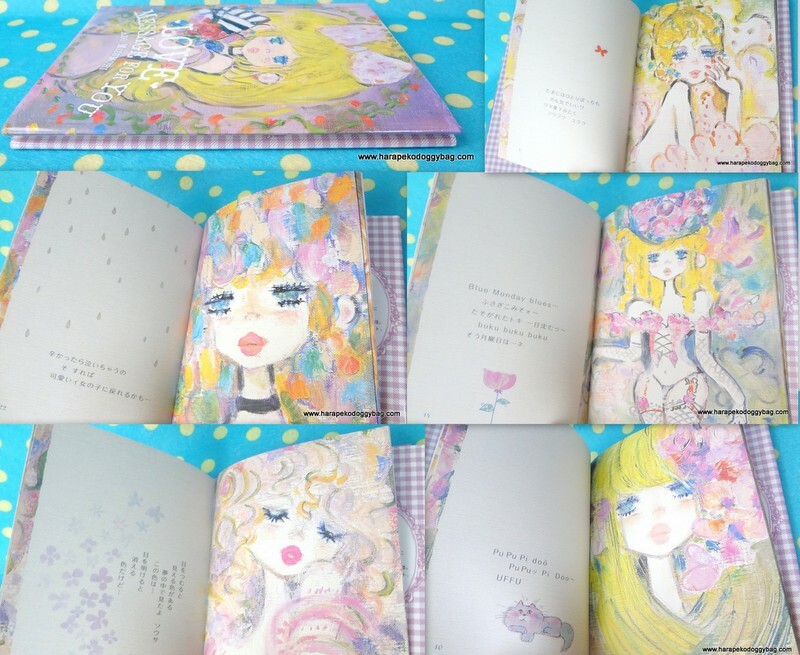 The hardcover book is a small offering of delightful artwork from Ado Mizumori. A great gift to anyone who has a been captured by the lovely and colorful artwork by this famous Japanese shojo manga artist. Keywords: japanese, book, books, all, kawaii, cute, retro, seventies, 70s, showa period, shoujo, ado mizumori, message for you, retro girl, illustration, big eyes. Below shows some of the pages inside.